August, not only is summer right around the corner it is also National Women’s Month. 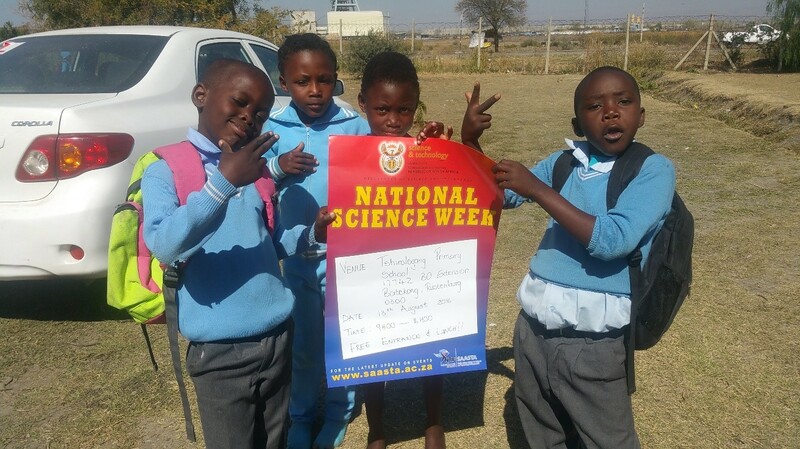 For us, it is also the month where National Science Week sweeps the nation! The theme this year was “Science for Sustainable Development and Improved Quality of Life”, which took place from the 8th – 13th August. 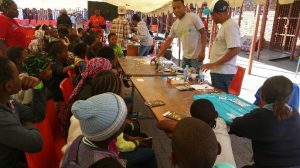 We began our #NSW2016 journey by inviting the Rustenburg community of Boitekong to our STEM Community Day which was held at Tshirologang Primary School on Saturday, August 13th. 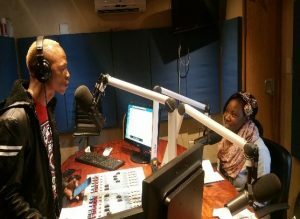 After brief interview on Radio Mafisa, we set sail for Boitekong Secondary School, Letsibogo Primary School and Abana Primary School. We gave them a glimpse of what to expect during the STEM Community Day. We delivered presentations covering a range of topics including renewable energy sources and how we use them, accidental science discoveries and different careers in STEM. In total, we reached a mind blowing total of 5131 learners! 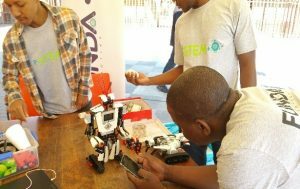 The turn out during the STEM Community Day was so much more than we could’ve anticipated and asked for. 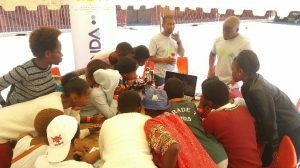 In total, 1 369 community members came through for our STEM Community Day, which included electronics presentations from Geekulcha, fun demo’s and competitions from the Funda Scienze, Funda Technologik, Funda Mathematiks and Funda Robotiks teams, and a STEM career guidance and role models stand. All community members who attended where provided with take away resources including magazines and STEM careers booklets. All in all, the day was a great success. 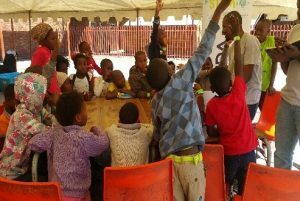 Working with Boitekong Progressive Youth, our CBO partner was a tremendous success. 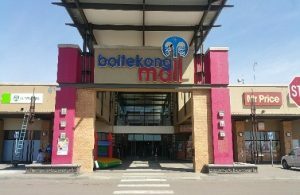 The passion and drive that they exude with regards to their community is truly moving and inspirational, we cannot express our gratitude enough. There literally isn’t enough vocabulary to express the roller-coaster of emotions and humbling gratitude that we as the P-STEM team feel. You can re-live our Rustenburg experience by checking out our Facebook, Twitter and Amaphiko pages for more pictures and information.